This product has been discontinued. Please contact us with your requirements and we will be able to find you a suitable replacement. Factory calibrated, the general purpose indicator reads 0-100% of span with two or four sensor input channels. A single push button allows users to scroll through active channels. Offered in 2 or 4 channel configurations, the panel or wall mount indicator provides a single interface for transmitter, switch and leak detection sensors. Select the 2 channel for loop insertion with PLC’s and the 4 channel for stand alone indication. With the optional MicroCal PC calibration kit, the MicroPoint indicator may be configured in less than a minute and users can customise engineering units, configure FET alarm set points, and/or linearise the volumetric measurement of odd shaped tanks. User configuration files are retained for indicator cloning and record keeping. Adjustable LED backlight for use at night or in dimly lit application. The MicroPoint Multi-Channel Level Indicator is compatible with a two-wire level transmitter, switch and leak detection sensors. 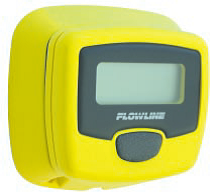 Alarms can be configured for high level, low level, out-of-bounds level or leak. A Compact NEMA 4X enclosure supports panel and wall mount installations, with an adjustable LED backlight for use at night or in dimly lit applications.